I’m a lifelong member of the church, or was until my senior year at BYU. While growing up I loved playing sports, both Football and Basketball, and I was a big BYU sports fan. I still remember the “Big Shot” from Kevin Nixon in the early 90’s WAC championship, and even went to the Cotton Bowl later in the decade with my Dad. Needless to say, I was fixated on going to BYU for my education. Though I didn’t end up playing sports past High-School, I still enjoyed my education at BYU for the most part. After my mission to Japan, I decided (after changing my mind a few times) to major in Physics. The subject wasn’t easy to tackle, but my professors were top-notch and genuinely cared about my education and understanding of the principles. Many of the professors took pay cuts to work at BYU because they wanted to give back to the school they went to as undergraduates. I still respect those professors for their knowledge and kindness as I worked through my degree. It was a BYU class that first led me to question my faith. I had heard of evolution before entering the school, but I didn’t really give the idea much thought until I took an introductory Biology course. I had pushed this course to late in my education so I could focus on physics, so by the time I reached the course, I found the arguments made in support of evolution by natural selection easy to accept. Unfortunately, I later realized that I couldn’t reconcile what I had learned with my version of LDS doctrine, so I modified my beliefs. A few months later, I had a series of discussions with a colleague in my research group. He had been studying church history and began to tell me about some of the things he was studying. I was floored by how the history he told didn’t fit with what I learned and taught up to and through my mission. Unwilling to accept his information on faith, I decided to look into the issues myself. To my chagrin, I found for the most part that he was right on most counts. I tried to reconcile my new knowledge with my faith, but was unable to. After a few weeks of frenzied study, I realized that I no longer believed the church was true. I didn’t know how to break this to my bishop as I still needed an ecclesiastical endorsement from him. I felt it would be wrong to hide my doubts, though, so when I spoke to him in my ecclesiastical endorsement interview, I told him, though not in detail, about my struggles and my loss of faith. Luckily for me, my bishop was a kind and understanding man. As I only had a few months of school left, he told me that as long as I still came to church and obeyed the honor code he would endorse my final semester of coursework. 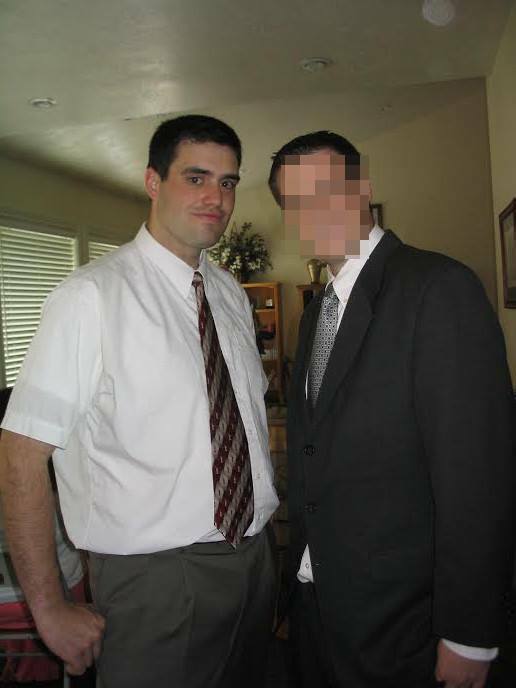 He told me that he had similar feelings while at BYU, and that over time I’d regain my testimony. During the ensuing weeks, I did my best to do so. I prayed. I fasted. I read my scriptures. But none of my efforts brought answers. No rekindling of my faith occurred. On the contrary, I found my testimony grew more and more anemic as a saw members profess a faith I no longer had. I felt alone. Over time, I found myself going through the motions emptily, only participating because the Honor Code required it. As difficult as those last few months at BYU were for me, my trials were comparatively mild. My friend who first brought the issues I studied to my attention dropped out of school afflicted with depression. Other friends tried to change their faith with the Honor Code office, but found that they couldn’t while remaining students at the school. Still others were kicked out of school due to their honesty about their change of beliefs. In short, I found that freedom of religion wasn’t guaranteed at BYU. I graduated from BYU two-and-a-half years ago and have moved on since then. I still find myself rooting for BYU sports and still respect the physics program, but my experiences after losing my faith soured many of my fond memories there. I would have gladly payed the extra tuition required of non-LDS students if I could have changed my faith officially at the Honor Code office, but I wasn’t allowed to act with that kind of integrity. I hope that future students that lose their faith won’t have to live an empty deception, like I did. That change can only come through a change in BYU policy. I hope the church can act with integrity and guarantee religious freedom for all students, not just those who still believe the church is true. But mostly, I hope that BYU can create an academic environment that welcomes people of all faiths and creeds and allows all students, not just those of other faiths, to explore their beliefs without fear of academic reprisal.